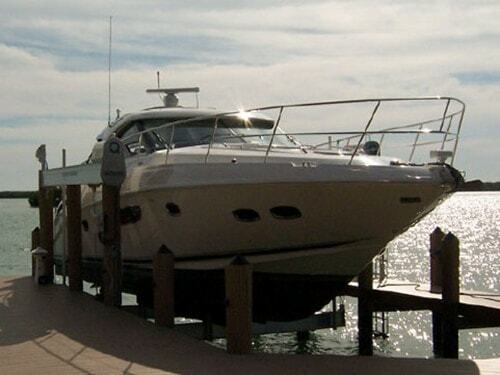 IMM Boat Lifts and Quality Boat Lifts were two of the country’s premier boat lift manufacturers. In 2008, the two companies merged to create the world’s largest and leading boat lift manufacturer, IMM Quality Boat Lifts. IMM Quality Boat Lifts has been family owned and operated since inception, with over three generations of fabricating experience and engineering knowledge. We manufacture our full line of products at our state-of-the-art facilities in Fort Myers, Florida. Our longevity in business and unmatched warranty are testament to our claim that we manufacture the world’s best boat lifts. At first glance, different brands of lifts may look similar, but upon closer inspection you will find that IMM Quality Boat Lifts are built better than all the rest. IMM Quality Boat Lifts is committed to manufacturing lifts that are safe, long-lasting, dependable, easy to use and aesthetically pleasing. We are dedicated to developing products that exceed our customer’s expectations while adhering to world class engineering standards. In keeping with this commitment, we use only the very best materials and manufacturing techniques. Dependability was key when we built our first lift way back in 1982, and it still is today. You cannot get higher quality or better value anywhere else in the boat lift industry. From personal watercraft to full custom designs for the largest yachts, our customers can depend upon our products being exceptionally engineered, thoroughly tested, and built like no other lift for years of trouble-free use.